Website.com has recently introduced a couple of new features to help users improve their site content, and to provide a better browsing experience for their visitors. This is exciting news for our Doteasy members who are enjoying the Website.com site builder! Introducing… the FAQ Element, Page Transitions, and Get Files To Dropbox element. 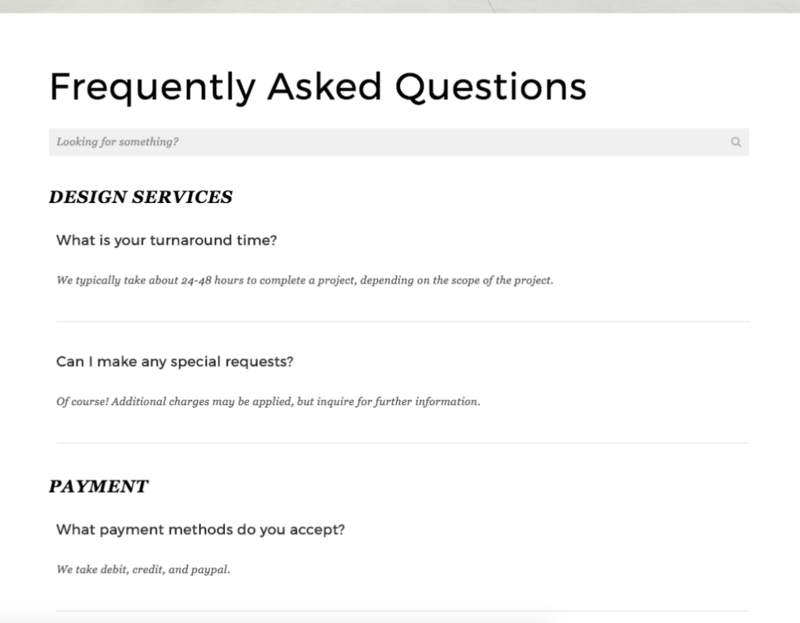 Now you can add a searchable Frequently Asked Questions section to your website. Not only does an FAQ section provide a valuable and helpful resource to your visitors, but it can also improve your search engine ranking by including more relevant content on your website. An FAQ section can also improve the time spent on your website, as visitors stay on your website to find the information they need. To add a FAQ element, click Add > Other > FAQ. 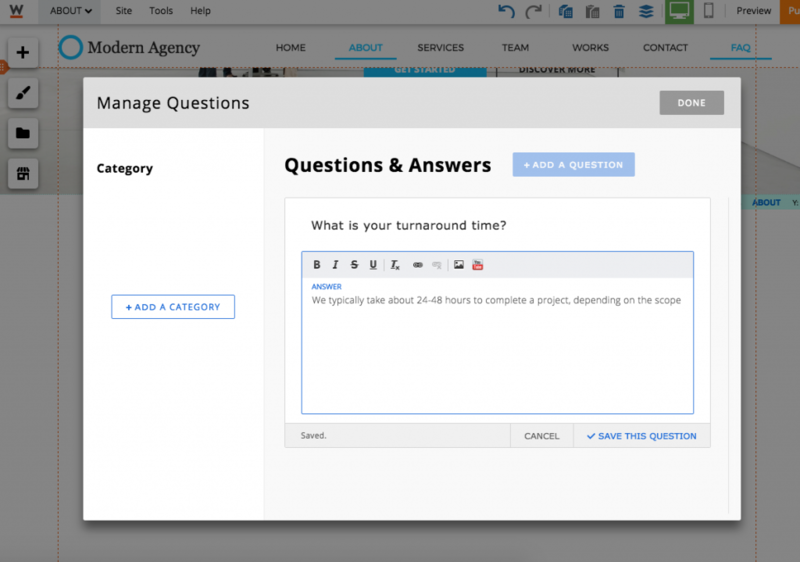 You can also click through the icons to customize the layout and style of your FAQ section. Our designers will also be coming out with more pre-set FAQ styles, which we will be rolling out in the future! Stay tuned. 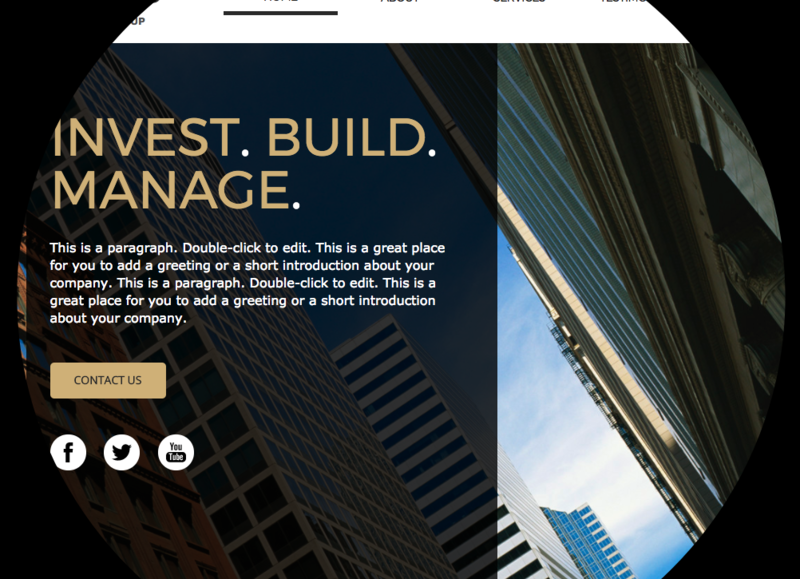 Page Transitions can help improve your visitors’ engagement by adding even more creativity and fun to your website. 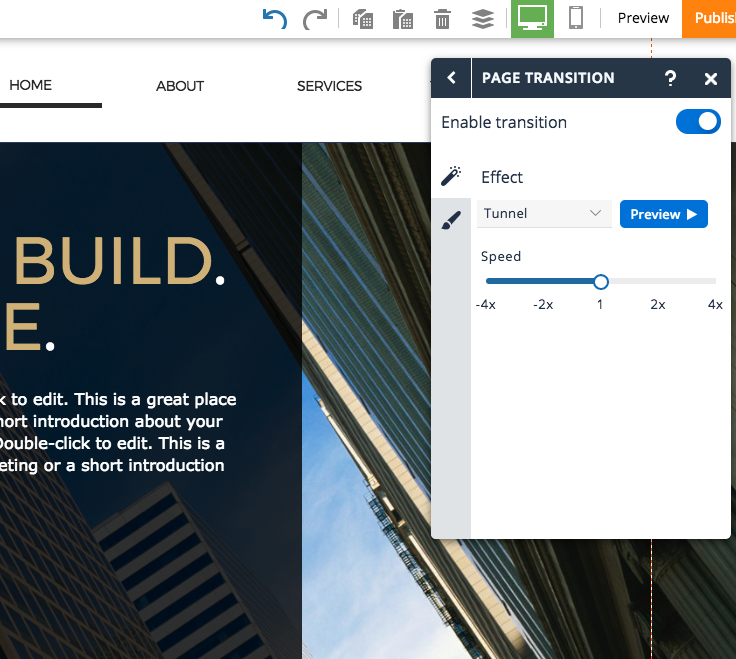 You can now easily customize your “page transition” effect and style. When visitors load your website and move between pages, they can see dynamic transitions, such as a fade in, circular reveal, wipe, and more. You can choose your effect and customize the speed of the transition, and background style. You can now allow visitors to upload files to your Dropbox account through your website! This a great way to collect resumes, photos, and more through your website. Get acquainted with the new “Get Files To Dropbox” element. To add it to your website, just click > Add > Other > Get Files To Dropbox. Once it’s been added to your website, be sure that you connect your Dropbox account to the element through clicking “Edit Account” in the panel box. If you don’t already have a Dropbox account, you will need to create one. Click through the icons to customize your element’s labels, styling, settings, and to view the upload data that has been collected through your Dropbox element. These features were introduced to help users create better content and a better browsing experience for visitors. Enjoy these new features, and let us know your thoughts in the comments!